Every year during the Festival and Fringe, The List's Top Rated page automatically collates our own reviews together with reviews from a broad range of other websites including British Theatre Guide, Broadway Baby, Chortle, Edinburgh Festivals Magazine, EdinburghGuide, Fest, FringeGuru, The Guardian, One4Review, The Scotsman, The Skinny, The Telegraph, ThreeWeeks, The Wee Review and WhatsOnStage. Scores are aggregated to rank all the shows across the festival's many genres and we've filtered this list to reveal the best reviewed comedy shows by the critics. It's an imperfect system but it provides a useful guide to the consensus hits of the festival. Now that the 2017 Fringe is all but a distant memory (well, it was almost a week ago) and the scores have settled, let's have a look at the critics' unofficial top 10. 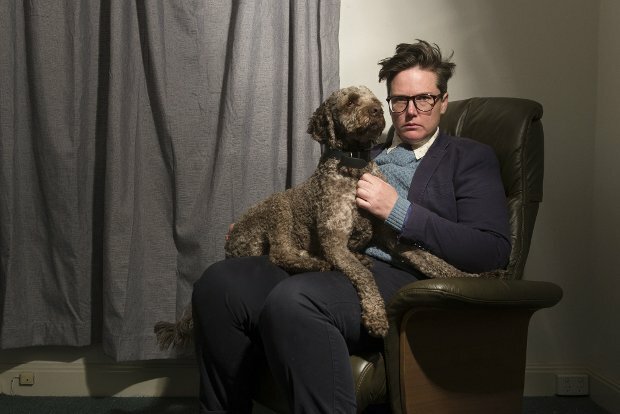 Fittingly, the top rated show (comedy or otherwise) was Hannah Gadsby's joint Edinburgh Comedy Award-winner, Nanette. Gadsby's been on the comedy circuit for a little over a decade and she describes Nanette as her swansong as she's decided to retire from the scene. In our review, Brian Donaldson says the show 'will be prove to be a hugely memorable epitaph for Gadsby's stand-up life.' Curiously, the other joint award-winner, John Robins: The Darkness of John Robins, only made 46th place. Sam Willis, the Kiwi performer who was last year a finalist on America's Got Talent, presented what he described as his final Edinburgh Fringe show. If that's the case then this was a fitting way to bow out. A former junior doctor and regular quiz opponent on TV's The Chase, Sinha has many strings to his bow, not least his long-established comedy career. The only sketch show in this list (and one of the very few, sadly, in this year's Fringe), Irish group Foil, Arms and Hog have been touring for over eight years and present a brand new sketch every week on their YouTube channel. The highest-placed Scot (one of only two if we count Phil Nichol's dual Canadian/Scottish nationality), Lafferty gently poked fun at herself and others in this warm debut show. One to watch out for. Formerly one of the Fringe's most hard-working performers, Phil Nichol presented a typically rambunctious show following on from an argument on social media. The arguments over political correctness show no signs of resolution, and Australian Ballard defended its cause during Problematic. Other comedians to tackle the subject this year include Fin Taylor (from a contrary viewpoint), and Brendon Burns and Craig Quartermaine (somewhere in the middle).